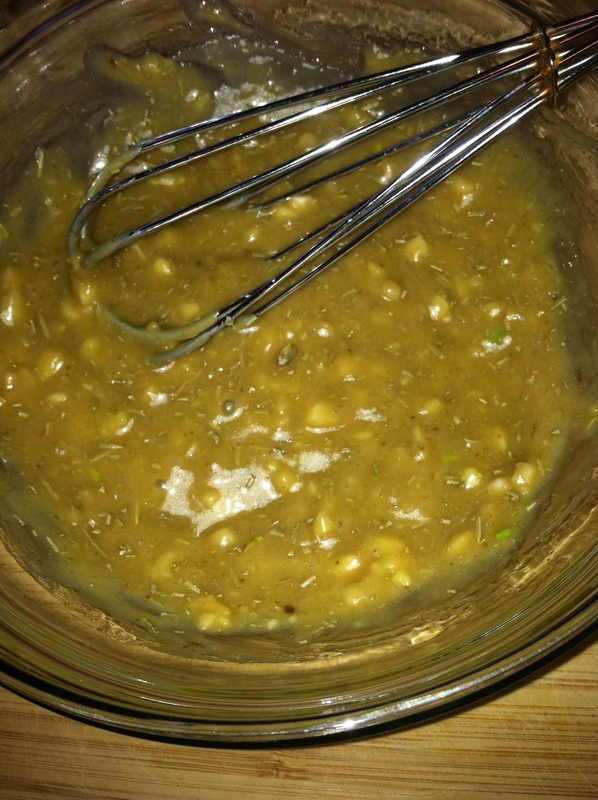 This recipe I actually found on the Food Network by the AMAZING Sandra Lee, which you can find at FoodNetwork. 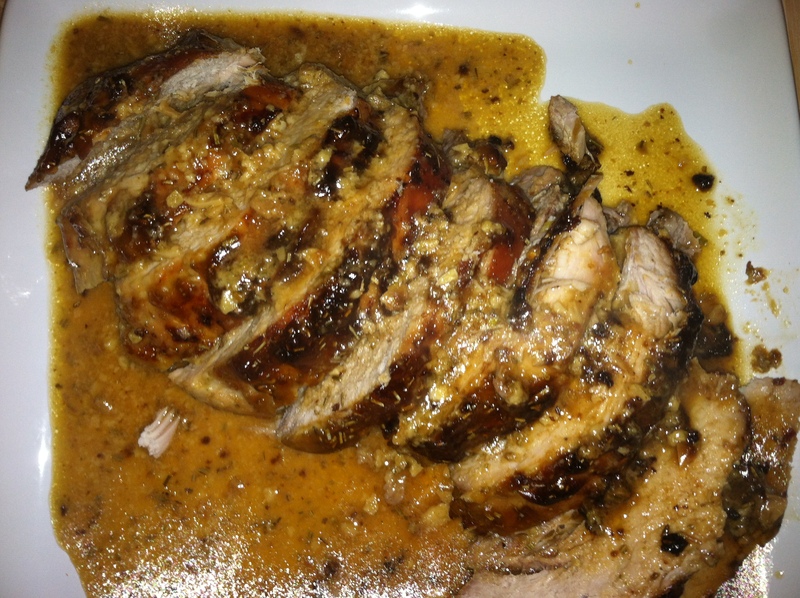 I have to admit, I have been making a lot of pork roasts lately but have been in a recipe rut for them. Well this gem, was my answer. Without further ado…. 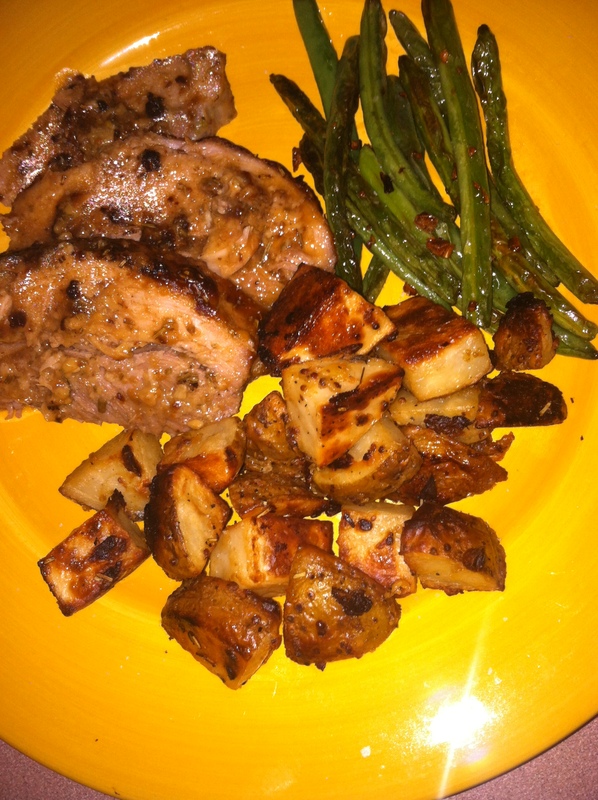 Garlic and Mustard Pork Roast! 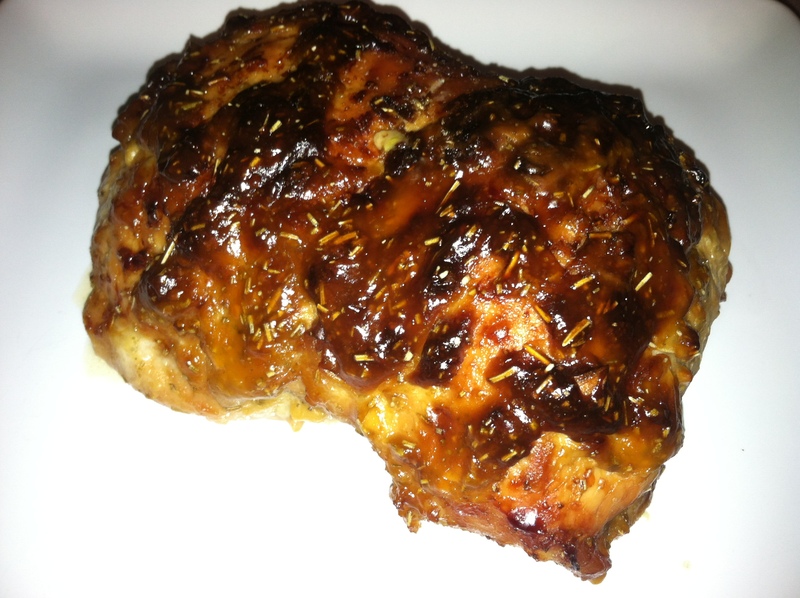 I used my new favorite mustard for this recipe. 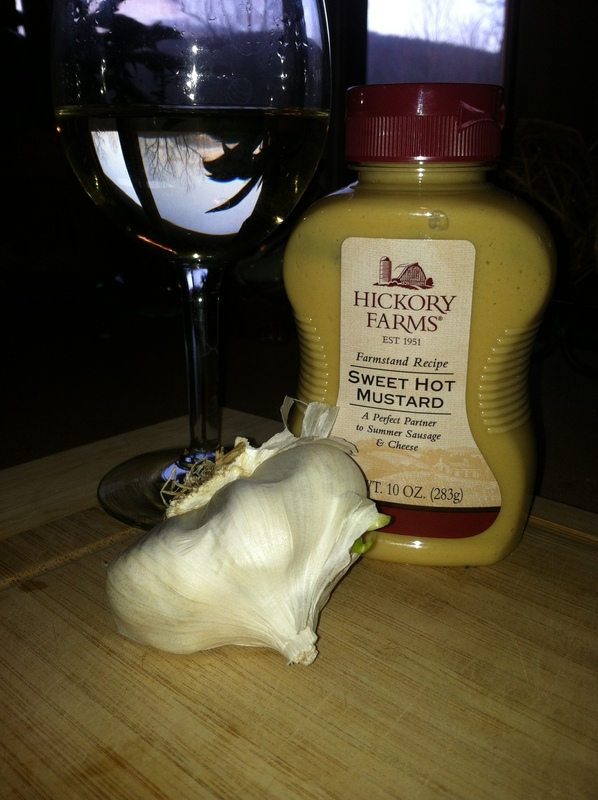 Hickory Farms “Sweet Hot Mustard”. 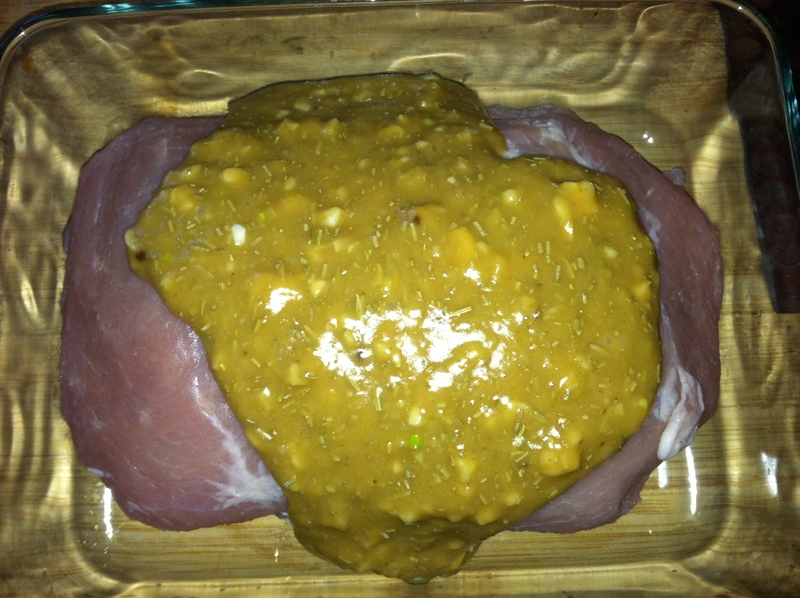 Feel free to use your favorite hot and spicy mustard for this recipe, or if you don’t like hot, use a sweet and mild mustard! 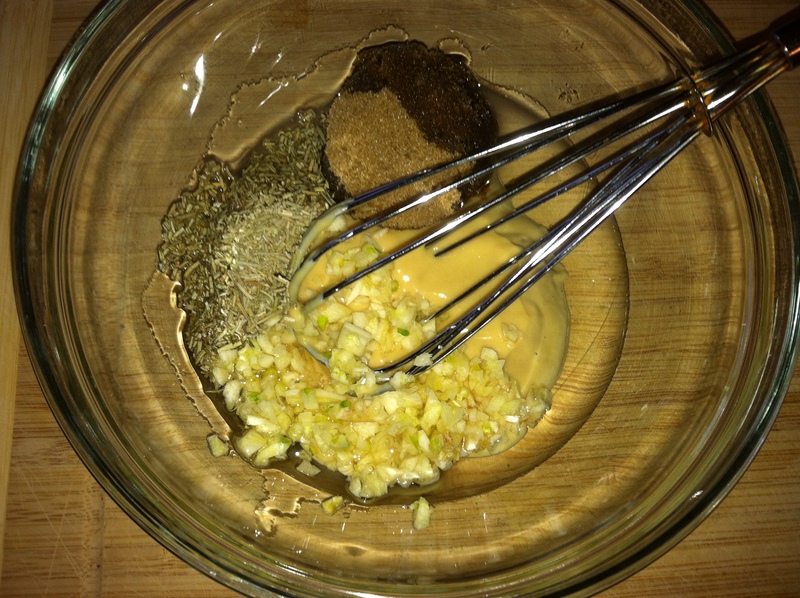 In a small bowl, whisk your mustard, canola oil, garlic, brown sugar, and rosemary together. 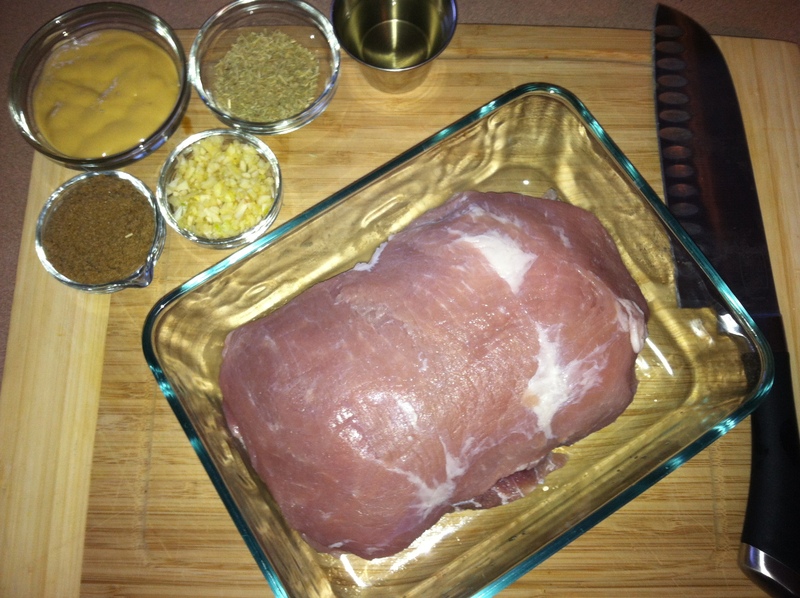 Place your pork roast in a roasting pan sprinkle with salt & pepper then rub down with the mustard mixture. 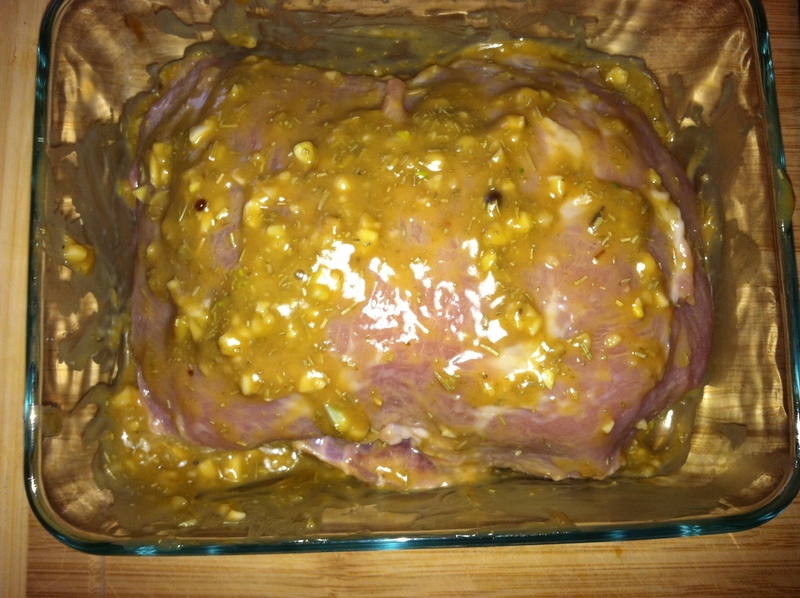 Roast in the oven for 2 1/2-3 hours or until the internal temperature reads 145f. 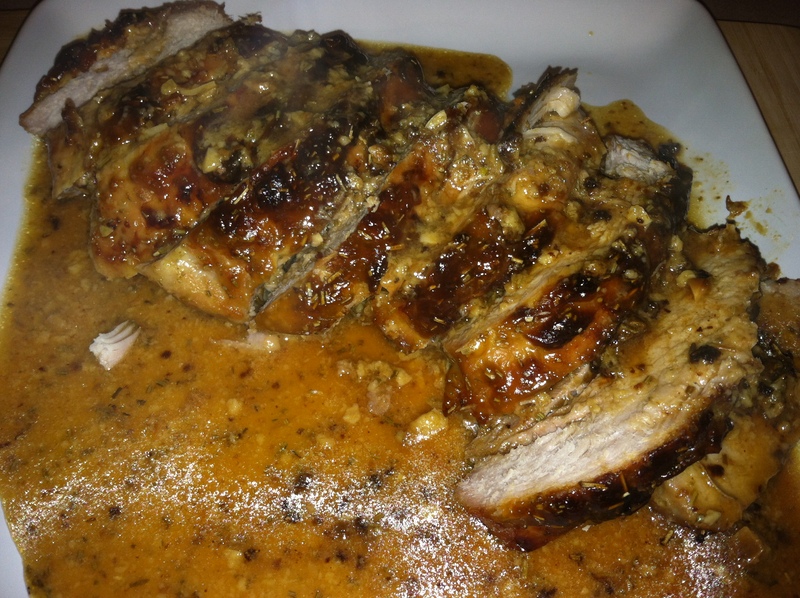 Transfer the roast onto a platter and allow to rest 15 minutes before carving. 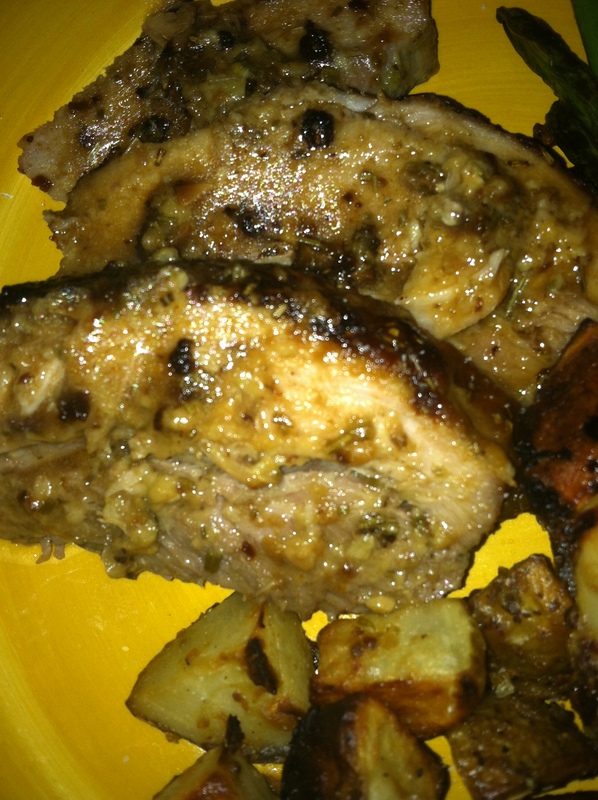 After carving your pork roast, drizzle with the remaining juices from the pan and serve. 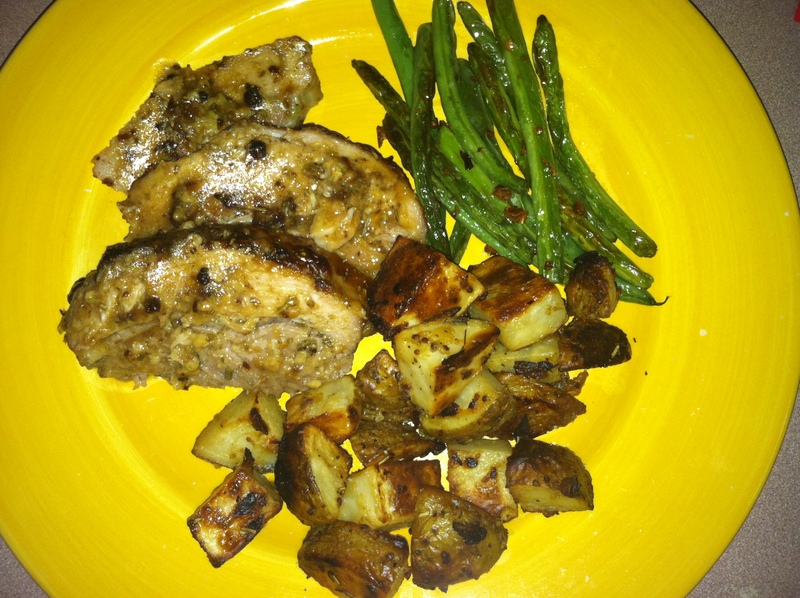 I served this with Sauteed Green Beans with Garlic and Roasted Sweet and Hot Mustard Potatoes.